Use the Keepsake Bundle as a centerpiece. 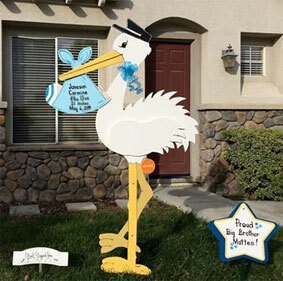 Stork Bundle Keepsake sign stay with new parents. Make a great nursery centerpiece to decorate around. 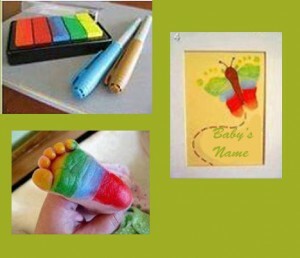 What a cute & easy DIY project! Great to decorate the nursery/kids room with and fun way to preserve memories. They grow so fast!!! 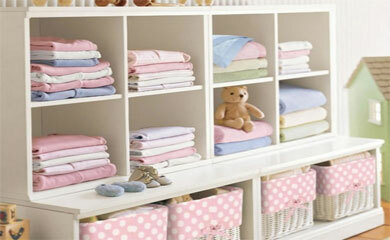 Also check out other great budget friendly ideas from The Bump or DIY Home Life. Previous: Previous post: Help for new parents?